All India Institute of Medical Sciences (AIIMS), Bhopal has recently released recruitment notification for 134 Senior Resident and Tutor vacancies. All aspirants can apply AIIMS Senior Resident posts and AIIMS Tutor posts can visit official website aiimsbhopal.edu.in and alljobalert.in for details. The Qualification for AIIMS, Bhopal Senior Resident AIIMS Recruitment last date, age limit for AIIMS tutor posts is as follows. For Senior Resident job in AIIMS: Candidates must possess an MCI recognized postgraduate medical degree viz. MD/ MS/ DNB in the respective discipline from a recognized University/ Institute. Aspirants with DM/ M.Ch. in concerned specialty will be preferred in respective departments, as applicable. Senior Resident in the Department of Telemedicine: Only Candidates with MD in Family Medicine, General Medicine & Paediatrics may apply for this Recruitment. For non-medical candidates in Biochemistry, Anatomy, Microbiology, Pathology & Lab Medicine and FMT – The candidate should possess M.Sc. Degree in the subject concerned, and Ph.D. in the subject concerned/allied subject from a recognized University/ Institute these are the education qualification. For Tutors/ Demonstrators: Aspirants must have A recognized MBBS degree for medical candidates, M.Sc. in the concerned subject for Non-Medical aspirants, Candidates with MD/MS/Ph.D. from recognized University/Institute in the concerned subject will be preferred. Application Fee : 1000/- plus for general/OBC Category Candidates and no fee is expected from the SC/ST/PWD/Women Candidates. The application fee must be paid at the time of the submission of application form. Mode of Selection : Written Test/ Interview. 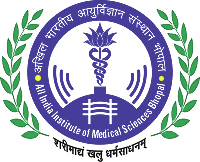 Eligible Interested Candidates are required to Apply Online through AIIMS Bhopal Website. The on-line filling up of application form will automatically close at 5:00 pm on 24/06/2017. Help Line: For queries contact Telephone No.0755-2672320 (Monday - Friday 10.00 AM - 6.00 PM) (Saturday 10.00 AM to 1.00 PM) (OR) Email to recruitment@aiimsbhopal.edu.in.